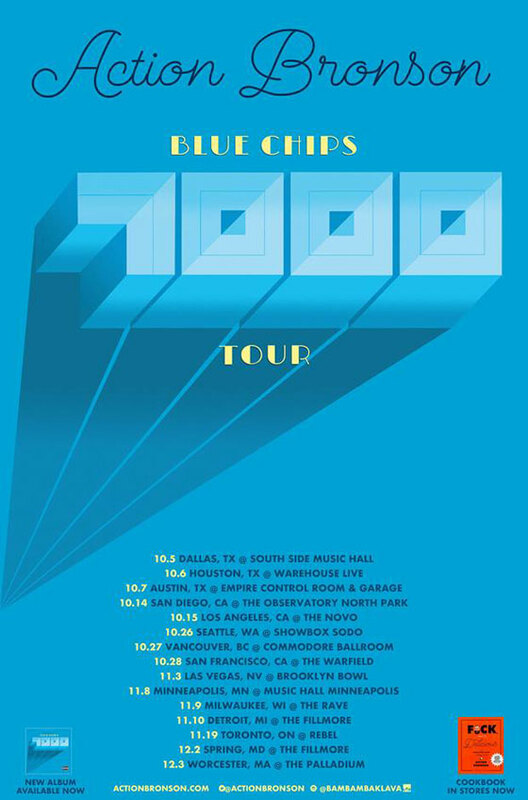 Action Bronson delivered his Blue Chips 7000 mixtape before the end of last month, and he's now announced a tour in support of the effort. The trek's first batch of dates will keep Bronson on the road just shy of two months, performing in both the United States and Canada. A pair of dates north of the border will bring him to Vancouver's Commodore Ballroom on October 27 and Toronto's Rebel on November 19. A Facebook post notes that more dates will be added to the tour. Find the current dates listed below.